Brahms speaks to us in a timeless and universal language, delivered through compositions that balance the rigors of precise craft with the freedom of soaring emotions. His complete concertos provide a revealing view of this complete artist, beginning with the breakthrough First Piano Concerto inspired by his beloved Clara Schumann, and stretching to Brahms’ final orchestral score, the Double Concerto written for his longtime friend, violinist Joseph Joachim (who also inspired the luxurious Violin Concerto). The understated and elegant virtuosity of Brahms himself shines through in the Second Piano Concerto, his own calling card at the keyboard. The power of Brahms resonates in every corner of the world, as demonstrated by this all-star lineup of international soloists representing Canada, China, Japan, Russia, South Korea and the United States. 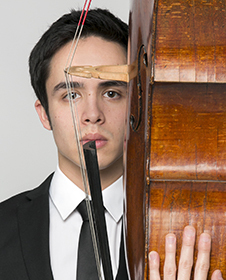 Praised by The New York Times for his “electrifying performances” which “conveyed every nuance,” American cellist Jay Campbell has already forged a reputation as a spellbinding artist. 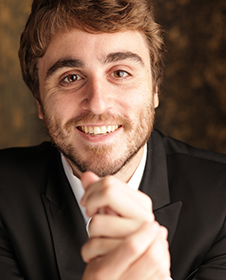 A 2016 recipient of the Avery Fisher Career Grant, he is well known for his eclectic musical interests and collaborations. “Yury Favorin, brilliant laureate of the Queen Elizabeth Competition 2010 is incredibly talented!” Yury Favorin is the winner of the First Prize of the Gyorgy Cziffra Foundation (Vienna, 2003), and laureate of many Russian and International Competitions. 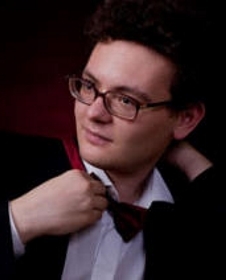 Yury has worked together with Pierre Boulez, Marin Alsop, Pool Goodwin and other leading conductors. He has taken an active part in numerous musical festivals and has given concerts at the most prestigious concert halls. 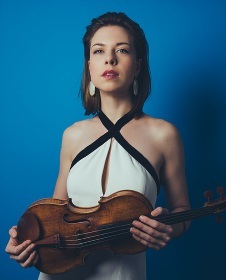 Violinist Tessa Lark, Silver Medalist in the 9th Quadrennial International Violin Competition of Indianapolis, recipient of a 2018 Borletti-Buitoni Trust Fellowship and a 2016 Avery Fisher Career Grant, and winner of the 2012 Naumburg International Violin Competition, is one of the most captivating artistic voices of our time. She has consistently been praised by critics and audiences for her astounding range of sounds, technical agility, and musical elegance. A budding superstar in the classical realm, she is also a highly acclaimed fiddler in the tradition of her native Kentucky, delighting audiences with programming that includes Appalachian and bluegrass music and inspiring composers to write for her. 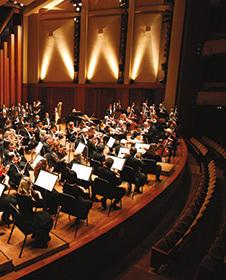 Pablo Rus Broseta’s performance is generously underwritten by Mika Nakamura and Gary Wood through the Seattle Symphony’s Principal Musicians Circle.